Pathway Senior Care Associates, LLC is a full-service geriatric care management and consulting agency serving the Northeastern Pennsylvania (NEPA) region. We work directly with seniors, caregivers, and families to provide geriatric care management or help to navigate the many challenges of aging and the complexities of the health care system. We also consult with agencies, facilities, and providers directly by offering educational in-services, audits, program and policy development, other aging, health care, and social services consulting services. Our story is a very personal one that began when Brenda and David began caring for an aging family member with fronto-temporal dementia, and later a younger family member unexpectedly diagnosed with an anaplastic astrocytoma brain tumor, and subsequently multiple brain surgeries and rounds of chemotherapy. We care deeply for our family members and began to see where our many years of aging, nursing, and social service experience could prove useful to others experiencing similar challenges. We look forward to the possibility of partnering with to find your pathway to aging well and better health. Dr. Brenda Hage completed her Ph.D. in Health Related Sciences and Gerontology at Virginia Commonwealth University, Richmond, and her DNP in Nursing at Chatham University, Pittsburgh. She was a 2015/2016 Duke/Johnson & Johnson Nursing Leadership Fellow, Duke University; a Biomedical Informatics MBL/NLM Course Fellow National Institutes of Health/National Library of Medicine (2005) Marine Biological Laboratory, Woods Hole, MA; and an Ethics Fellow (2005), Virginia Commonwealth University, Department of Gerontology. Dr. Hage is board certified as a Family NP through the American Academy of Nurse Practitioners (NP-C), Adult Gerontological Primary Care NP (AGPCNP-BC) and Informatics Nurse (R.N., B.C.) by the American Nurses Credentialing Corporation and a Certified Case Manager (C.C.M.) by the Commission for Case Manger Certification. Her clinical areas of expertise are in gerontology, rehabilitation, and family practice. 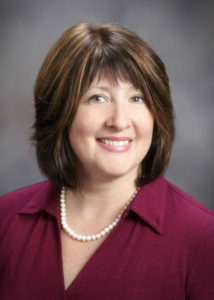 Dr. Hage is a tenured professor of nursing at Misericordia University where she serves as the Chairperson of Graduate Nursing and Health Care Informatics and Director of DNP Programs. Dr. Hage was a 2016, Recipient of the Presidential Point of Light Award, President George H. W. Bush’s Points of Light Foundation for care of the underserved. She was awarded the Advanced Practice Nursing Scholarship Award from the Nightingale Foundation of Pennsylvania. She was awarded the 2005 distinguished Nurse Practitioner Achievement Alumni Award at Misericordia University and the 2003 American Academy of Nurse Practitioners’ State Award for Excellence. Dr. Hage provides service to her community as a member of the Bioethics Committee, Geisinger Wyoming Valley Medical Center, Plains, PA, and she is the vice-chair of the Northeast Task Force for Pennsylvania Orders for Life-Sustaining Treatment. In 2011, she was appointed to the Pennsylvania Council of Aging by Governor Tom Corbett and was reappointed for a second, three year term in 2014. 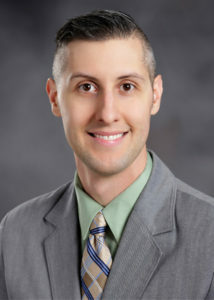 David Hage earned a BSW degree from Misericordia University, an MSW from Marywood University, and is in the process of obtaining a Ph.D. at Concordia University Chicago in Leadership & Gerontology. He is a Licensed Social Worker (LSW), Certified Advanced Social Work Case Manager (C-ASWCM), Certified Remotivation Therapist-Level II (CRMT II), and Certified Advanced Aging Life Care Professional™ (previously called Certified Geriatric Care Manager). David has over ten years of experience working with aging individuals, caregivers, and families in senior housing, inpatient hospital rehabilitation (IRF), subacute skilled nursing (SNF), and outpatient private practice environments. David is also an is an Assistant Professor of Social Work and the Director of Field Education at Misericordia University and has also taught in the Gerontology, Patient Navigator, Psychology, and Sociology programs as well. David serves on the biomedical ethics and palliative care committees at Wilkes-Barre General Hospital, volunteers at The Hope Center Free Medical Clinic, and on the executive committee of the Pennsylvania Orders for Life-Sustaining Treatment (POLST) Task Force for NEPA, a regional group committed to quality advanced care planning targeted at honoring patient wishes at end-of-life. David was also appointed to the Pennsylvania Chapter of the National Association for Social Work’s (NASW) Aging Committee in 2017. Managing care for an elderly parent is a task for which one is never prepared. Even after spending over 45 years as a health care professional, I found that I had limited knowledge of the available resources and management options for my elderly parents once they required assistance with their daily care. David Hage, was able to provide a road map of the resources available through each step of the decline of my parents’ health and their increased need for assistance. He is a knowledgeable professional who was able to provide support and guidance about the complex issues of geriatric care. Jean R. Steelman, Ph.D., C.N.S.